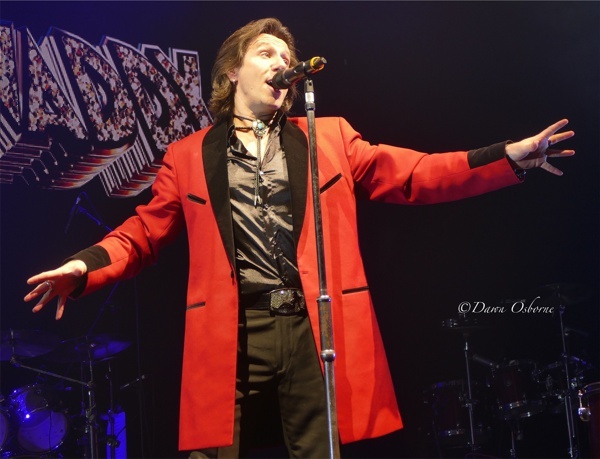 Showaddywaddy were a delight with their crooning renditions of 50s rock n roll covers. They set the tone kicking off with 'Dancing Party Tonight' and succeeded as opener, on early in the evening, in getting people up off their feet. Particular delights for me were 'I Wonder Why', 'You Got What it Takes' and 'Under the Moon of Love' which saw the very recognisable Romeo Challenger who has been the drummer for 46 years come to the front of the stage to bang large drums bongo style with sticks with big white pads which made a sound banged by themselves without drums. Energetic from the start with synchronised walk and kick moves the atmosphere was party from the start. Singer Andy Pelops has the haircut of original singer Dave Bartram and makes the stage his own. By the end we saw cheeky Elvis style hip and leg shakes and by 'Hey Rock And Roll' the original song by the band there was fist pumping in the air causing the audience to bounce along. As such things were nicely warmed up for the Bay City Rollers fronted by Les McKeown. Whilst a little less visual than Showaddywaddywaddy who wore long teddy boy coats, the rollers cut a natty profile in clothes trimmed with tartan and ran sedately through their best known numbers making it look easy and sounded pretty good. McKeown's walking style was still recognisable from his youth and they were greeted enthusiastically by a crowd amongst which a number of audience members had tartan scarves including at least one original crimplene one blaring 'Shang A Lang'. 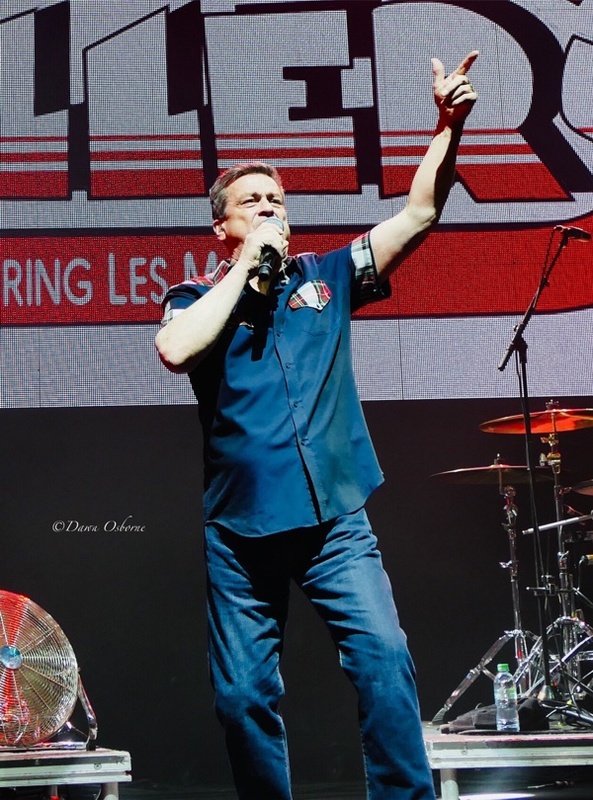 During the show McKeown thanked the crowd who were teens who had ran home to see the TV show of the same name and its clear that a lot of the audience had. Highlights for me were 'I Only Wanna Be With You', 'Give a Little Love' and my favourite cover 'Bye Bye Baby'. I was surprised to find that I still knew all the words engrained on my brain through repetition all those years ago. 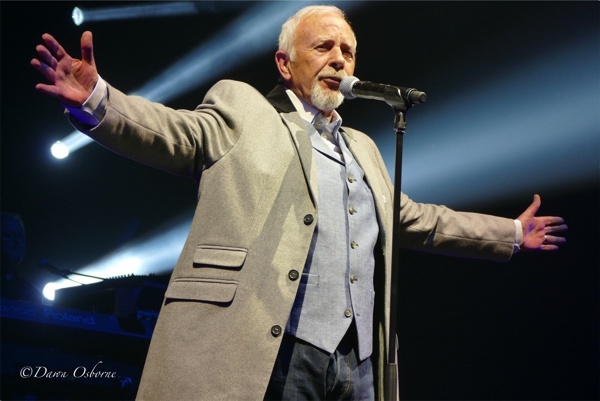 David Essex was up next and cuts a stately figure in smart coat and waistcoat while retaining an edge with large Oliver Twist style open at the top lace up work boots. Whilst he looks very different now he is still recognisable and despite the dignified exterior and elder statesman aura he still has a wicked glint in his eye and is still capable of causing hysteria among the ladies in the crowd. I thought he was singing better than at Legends Live last year and he's hitting his high notes perfectly. Highlights were 'Hold Me Close' and 'Oh What a Circus' from Evita which made the most of the emotional qualities of his voice and its storytelling qualities. He delivered a varied show including the reggae style 'Me and My Girl' and the number one 'Gonna Make You a Star' which got the whole audience singing. I don't care that it's not Christmas I still wanted to hear 'A Winter's Tale' but never mind'. With this four band format no one has time to do their normal full set. 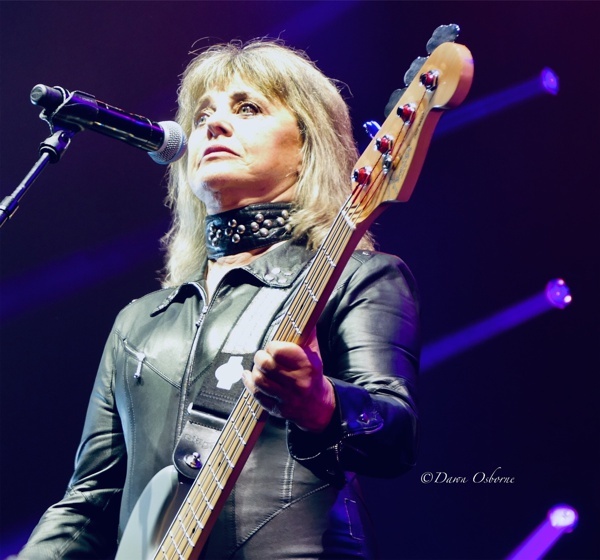 On came Suzi Quatro looking fabulous in top to toe black leather jump suit and biker boots. No one would believe she is 68 although she made a point of telling the crowd and said she's proud of her age. But looking like that, age is nowhere near anything she needs to worry about. She is also extremely agile with the movements of a thirty year old on stage and she still has one of the best asses in rock. She's doing as many as six shows in a row and there was no sign of strain in her voice or demeanor. Fittingly she kicked off with rocker 'Wild One' and easily carried it off. The hits kept coming including 'She's in Love with You' with great harmonies. 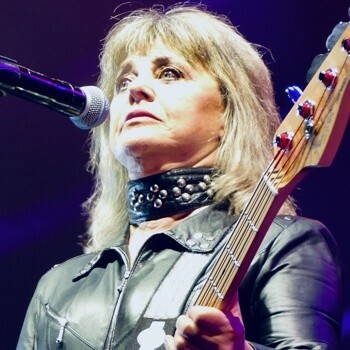 She played her brand new single 'No Soul No Control' recorded with her son and ran the new video behind on the stage screen after making the point that she is celebrating 55 years in the business and then went right back to her second hit '48 Crash' illustrating the point. She then did my personal favourite 'If You Can't Give Me Love' which says everything about how Suzi knows how to be a real woman and remain assertive while still believing in old fashioned values. We then went into big riffs for 'Rocking In the Free World' which I loved but seemed to be less well known by this crowd. It was punctuated by a session with Suzi on drums and introductions to the band where her brass section seem surprised to be referred to as her horny boys. (Well why not a bit of 70s humour too.) 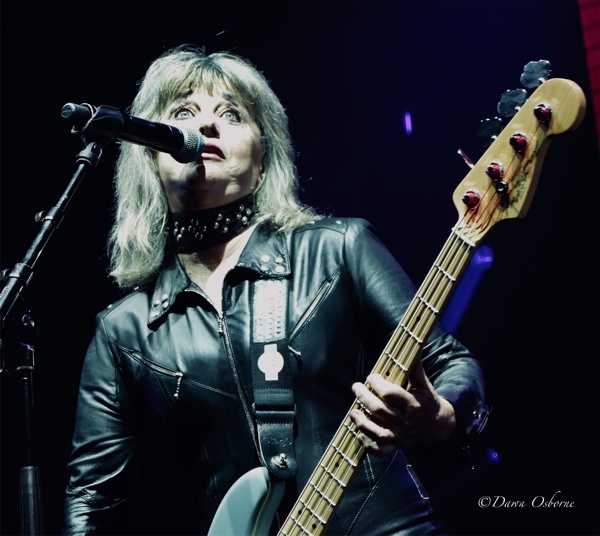 As we go into 'Can the Can' which Suzi admits launched her into world fame there was wholesale clapping and screaming and a lady with grey hair was going crazy like she was twenty at Woodstock in the aisle. As Suzi herself took a bow you can see just how thick a main of real hair she still has herself. The finale is, of course, the indispensable 'Devil Gate Drive' still her flagship song in my opinion. A program like this is cleverly done with each act having a maximum of 45 minutes there's no time to lose and I certainly felt like I wanted more from each act particularly Suzi. She has said this is the last time she will do Legends Live and I look forward to her coming back with a headline show perhaps with a rock or metal support when she can play a full set including more songs from her excellent new album 'No Control'. Till then we are left wanting more.